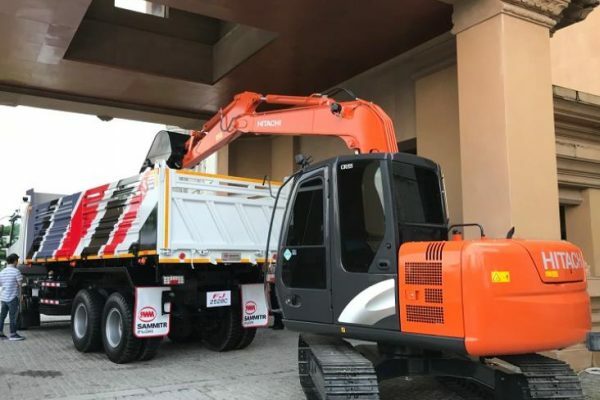 THAILAND – Hitachi Construction Machinery Thailand (HCMT) is pleased to announce that its latest showcase collaboration with Daimler Commercial Vehicle (Thailand) Co. has ended on a successful note. The co-joint event also marked Hitachi’s first collaboration with an external party in the first half of 2018. Responsible for the import, assembly and distribution of Daimler commercial vehicles brands like Fuso and Mercedes-Benz in Thailand, Daimler Commercial Vehicles (Thailand) Ltd. is a start-up company fully owned by Daimler. Notably, Daimler is also one of the world’s biggest manufacturers of commercial vehicles and biggest producers of premium cars like Mercedes-Benz cars, Daimler Trucks, Mercedes-Benz Vans and Daimler Buses. As such, it is our honour to be able to partner with organisations like Daimler that provide genuine opportunities through their networks, products and services. 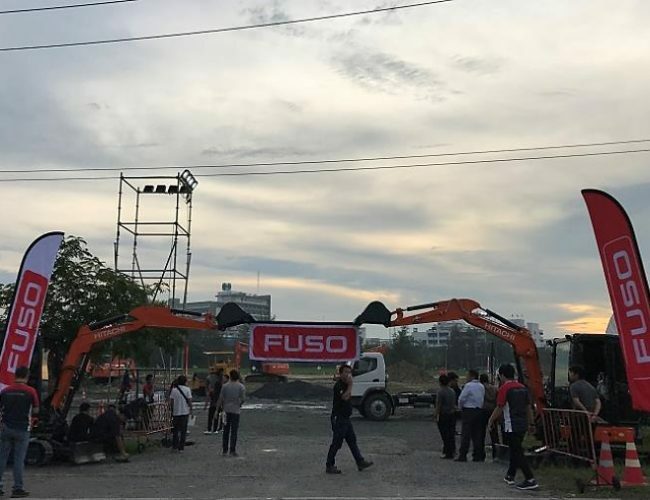 A total of 120 visitors, among which also include guests from the construction industry, enjoyed a two-day showcase event at the Amata Castle in Amata City Chonburi Industrial Estate, (formerly Amata Nakorn) Thailand on May 3 and 4, as they were invited to preview the one-stop solution services presented by FUSO and its partners. This spectacular two-day showcase event was organized by Daimler Commercial Vehicle (Thailand) Co. and Hitachi Construction Machinery Thailand was invited as one of partner to formally launch Daimler’s latest FUSO machine – FJ 2528C, as well as increase brand awareness of the Hitachi brand in the Thailand market. The time of the event has flown by really fast as there was plenty to look at and find out during the 2 days. The two-day event also proved to be a lavish feast for the eyes as it comprises of live drone screenings of various machinery demonstrations from a test track, including the unrivalled performance and comprehensive features of our Hitachi ZX200-5G excavator. The ZX200-5G excavator which features swift front operation, with machine movement powered by 168HP tier 2 engine, and a HIOS III Hydraulic system was driven by our very own Hitachi operator to demonstrate the amazing job performance of the excavator with a FUSO truck. A variety of Hitachi’s highest performing machines such as the ZW220-5A Wheel Loader, ZX33U-5A mini excavator and ZX70-5G small size excavator were also showcased alongside the ZX200-5G. All the Hitachi products presented at the two-day event are the best in class and feature unique capabilities. Feedback on these machines turned out to be very positive and we received a total of 23 customers visited Hitachi Booth with inquiries. Besides being introduced to a wide range of the brands’ intended product offerings, guests in attendance were also treated to a plethora of interesting program line-ups where they were welcomed with desserts, lunch, and dinner with live band performance at the western-theme Amata Castle. The evening, which was held in a “chill out” atmosphere was not only spectacular but also positive and particularly encouraging as it was exclusive with opportunities and gave Hitachi the perfect platform to mingle and network with major industry professionals from across Thailand. The board of Hitachi Construction Machinery Thailand would like to take this opportunity to thank Daimler for the great opportunity, all members of the team for their efforts, as well as all of our supporters and we look forward to meeting you at our next event.